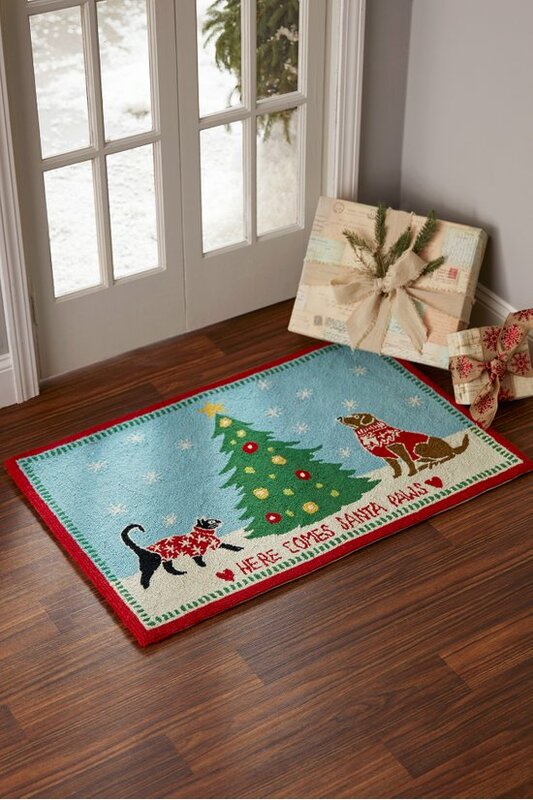 Our welcoming rug makes a fun greeting for two- and four-legged holiday visitors. Hand hooked of wool and backed with canvas, it withstands high traffic. Place inside the front door, in the kitchen, anywhere for a real howl.